May is finally here and we have a lot to look forward to these coming months. From Mother's Day to graduation and several weddings! There is a lot of fun to be done. It also means the season of giving... For me I enjoy making handmade gifts, it's one of the pleasures of being a maker. Because I have a lot of sewing to do, I like to design projects that are simple enough but also one-of-a kind. That's why I love machine embroidery. 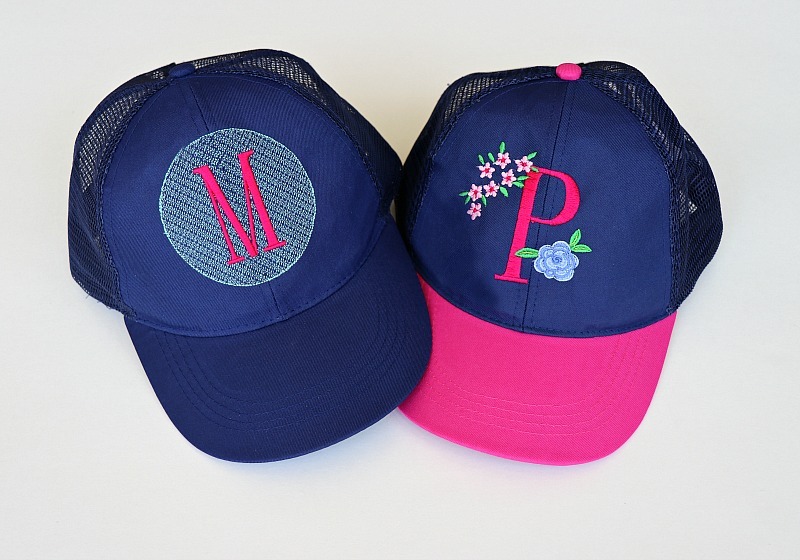 It makes customizing easy and this Floral Monogram collection from Embroidery Online is perfect for embroidered gifts. 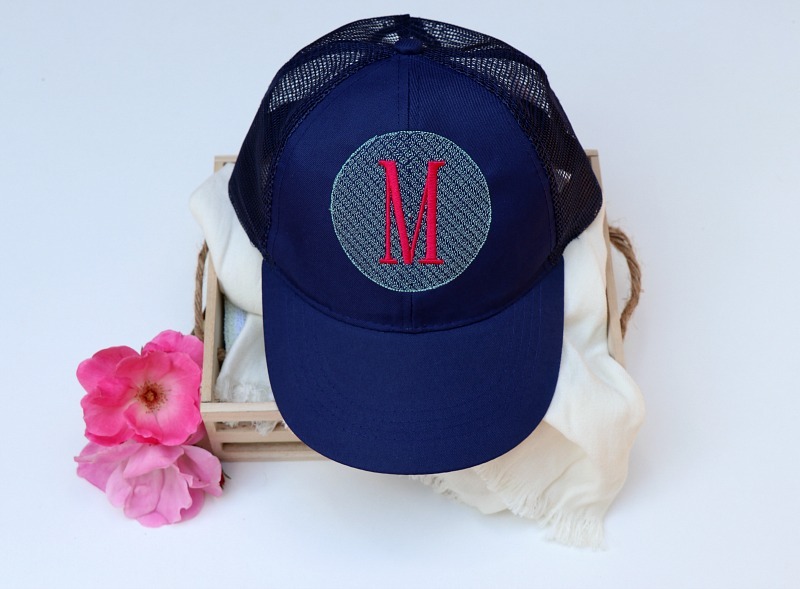 For this post I wanted to share tutorials on how to Monogram hats with machine embroidery using this Floral Monogram Collection. The designs feature each letter framed in a circular pattern with over 2 dozen colorful flowers. 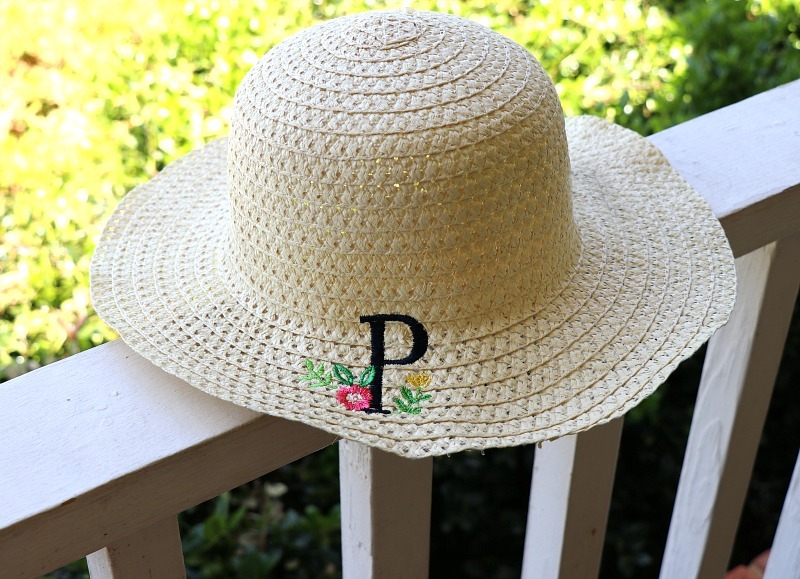 Add these to hats, towels, totes, robes, and more. 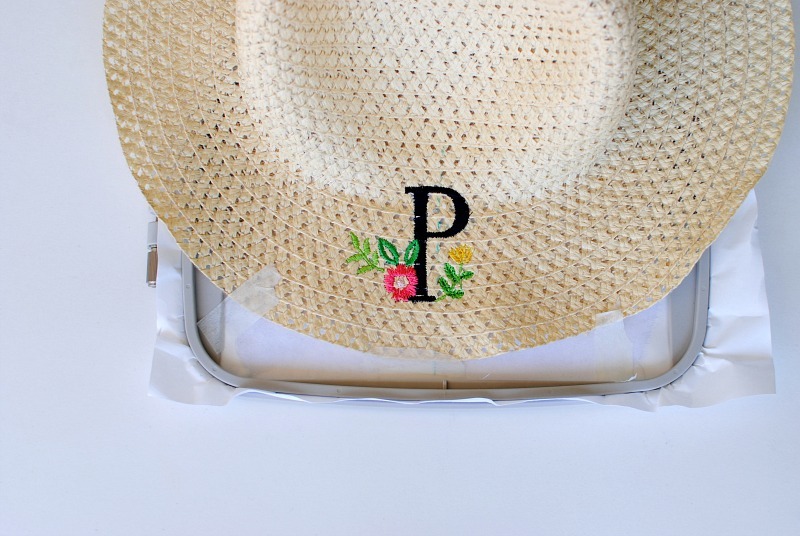 What I like about these embroidered hats is they can be made for several occasions: bridal parties, teachers gifts, birthdays, and everything in between. Add them into a themed basket and you have the perfect gift for just about anyone. Hoop StabilStick TearAway so the adhesive side will be up once you remove the top layer. 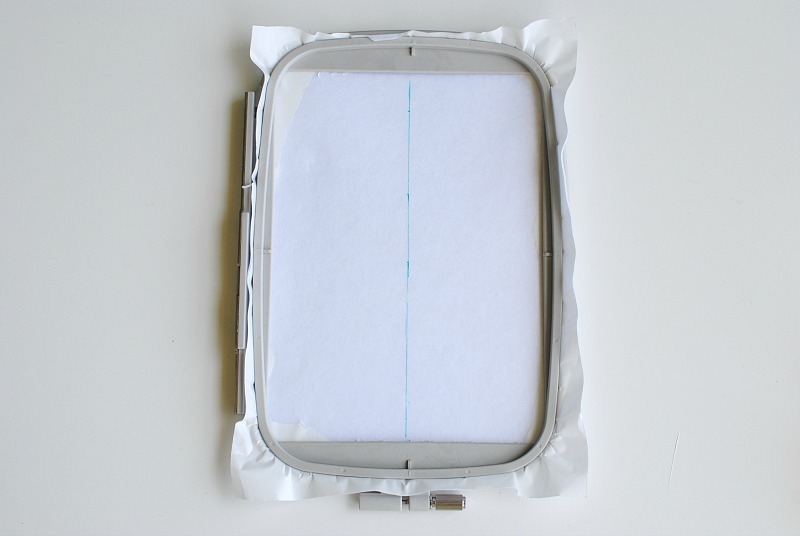 Remove the top layer to expose the adhesive. Tear completely away. 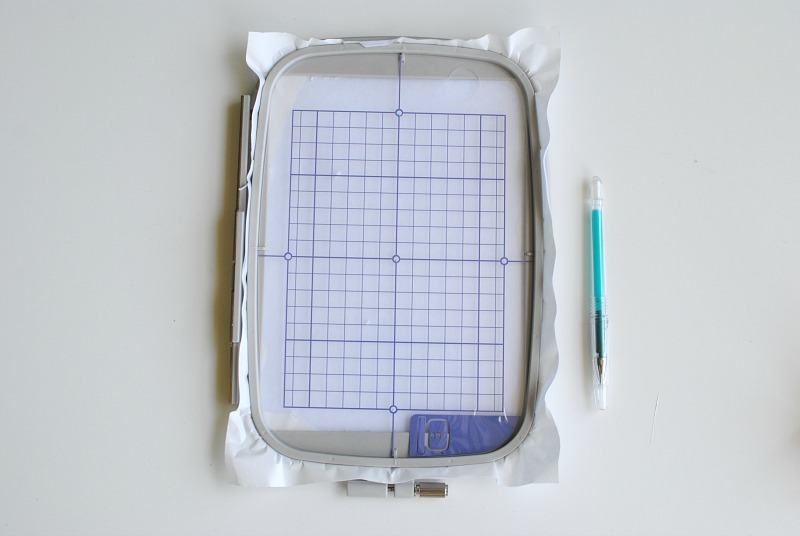 Use the hoop template and mark the center dots. Draw a line down the center with a pen or marking tool. 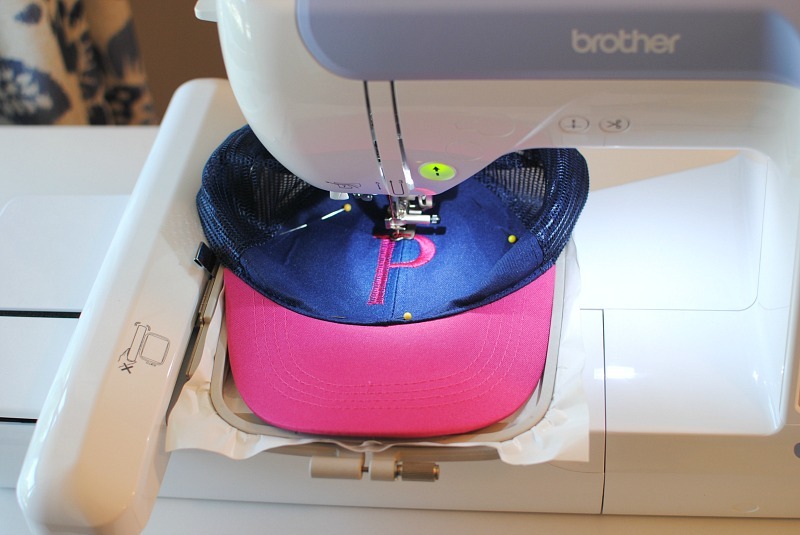 It's a good idea to print your design out to get the proper measurements/placement before embroidery. 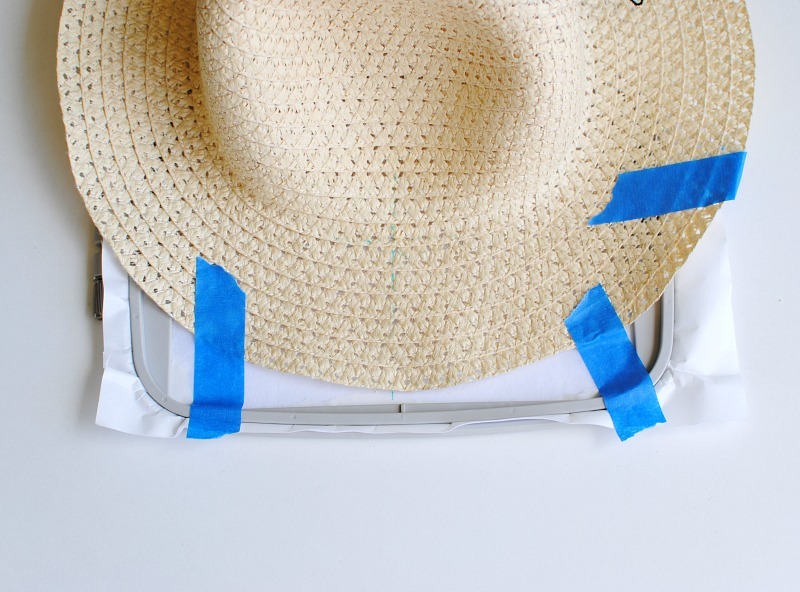 Use painters tape to secure the inside flap along the brim. You will have to flatten the brim a bit to get it to stay down. Mark the center of the hat and the center of the design. 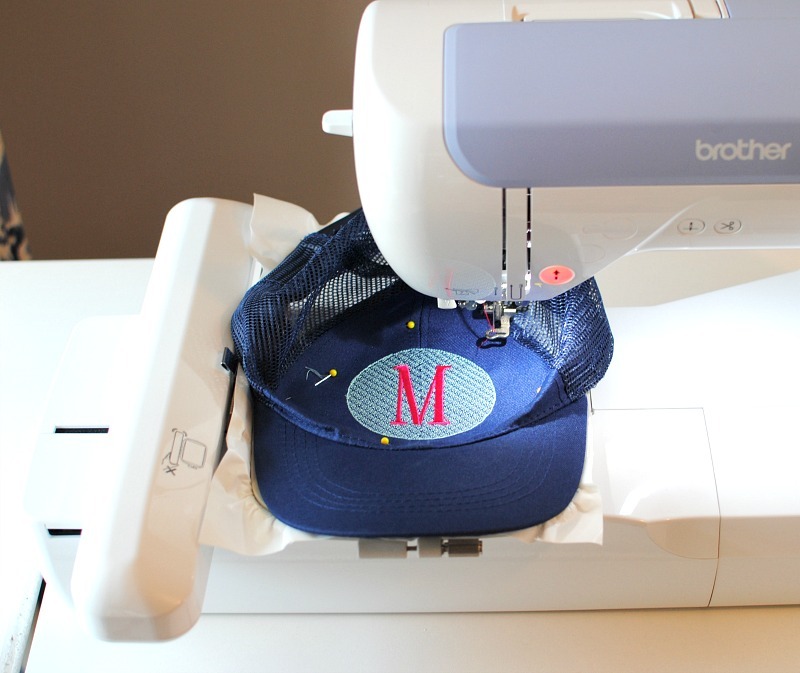 I typically make the embroidered design start about 3/4" above the brim. 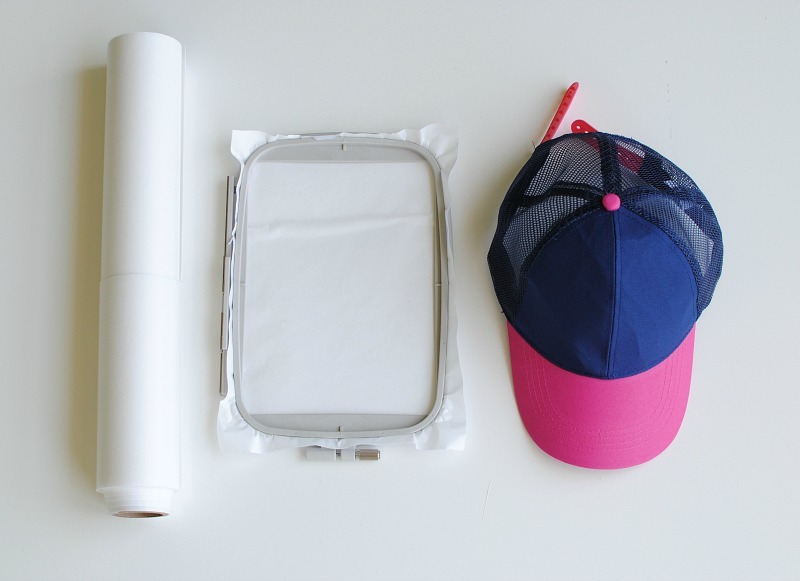 Place the cap onto the adhesive stabilizer matching the center lines. Adjust the fabric to be even and flat by pressing with your fingers rather than pulling/stretching. Pin into place on the outsides making sure the pins are not near the design. 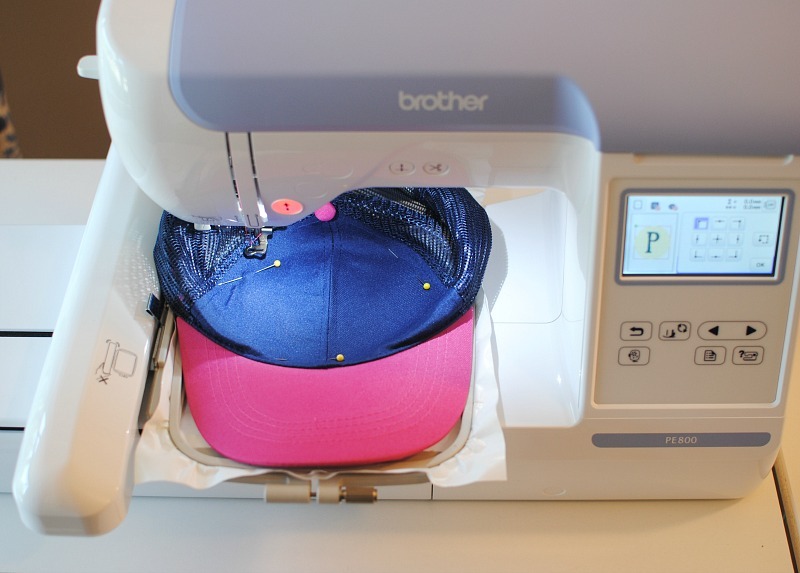 Adjust your design on the machine making sure the design is centered and won't hit the pins. 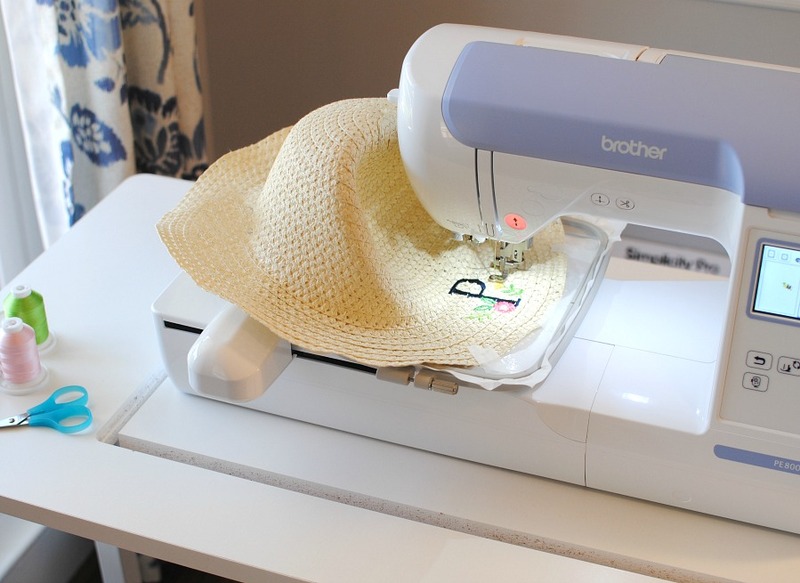 The new Brother PE800 Embroidery system allows you to add multiple designs together. I love this so I can create the design all at once without software instead of going back after one design and redoing set up. 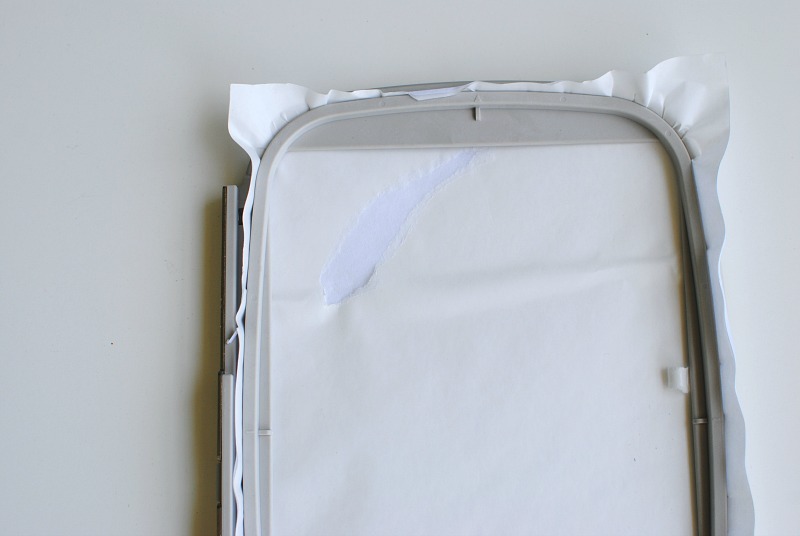 Remove from the hoop and remove the Tear-Away stabilizer. Here is another version with the circular frame and letter M. I love that you can add the floral designs wherever you'd like around the frame. My son wants to make these for each of his teachers. We are going to add them to a gift basket for their end of the school year gifts. 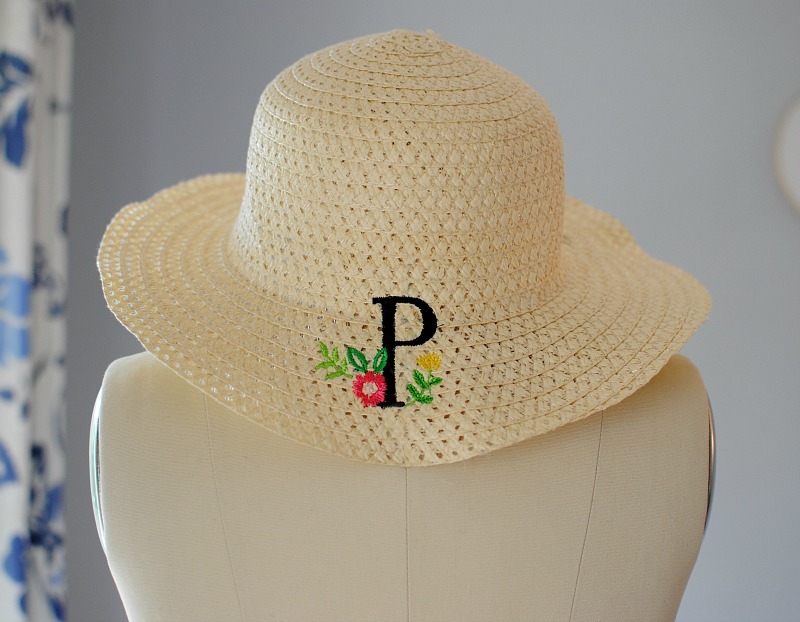 I love embroidered sun hats for photo shoots, bridal parties, and vacations. You'd think the wicker may be a problem for machine embroidery but the needle does just fine sewing through the woven material. Add these to a vacation themed gift basket and it's a darling, one-of-a-kind gift. 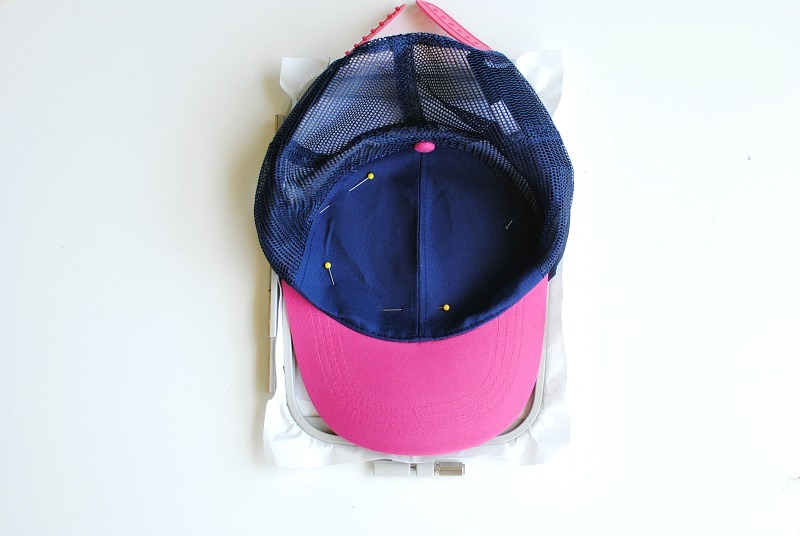 Similar to the baseball cap, mark the design location. Print out the design if necessary. 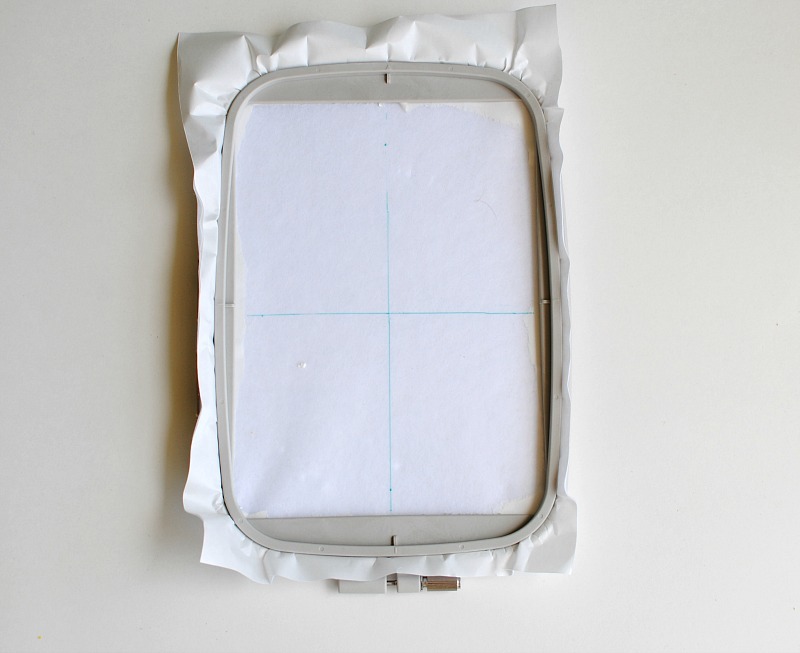 Hoop StabilStick TearAway so the adhesive side will be up once you remove the top layer (refer to step 1-3 above). 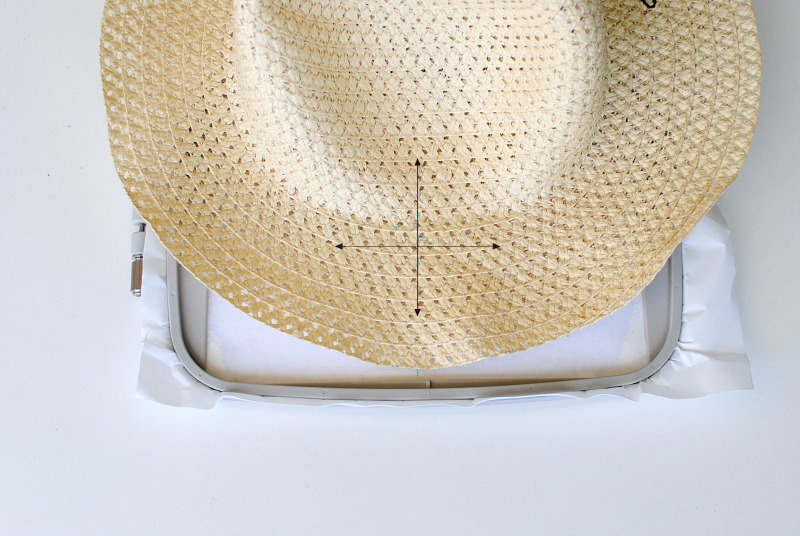 Draw a horizontal and perpendicular line across the center with a pen or marking tool. Line the center marks of the stabilizer and hat together. 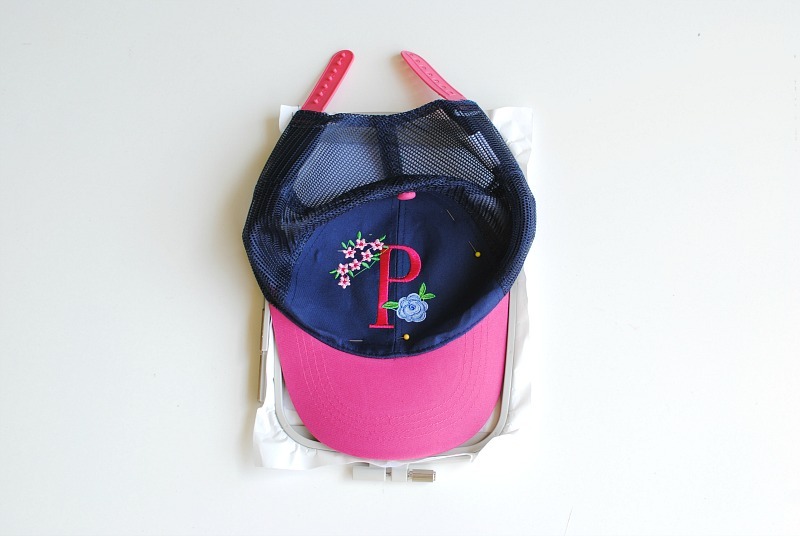 You will want to have the hat hooped so it will hang over the embroidery unit. 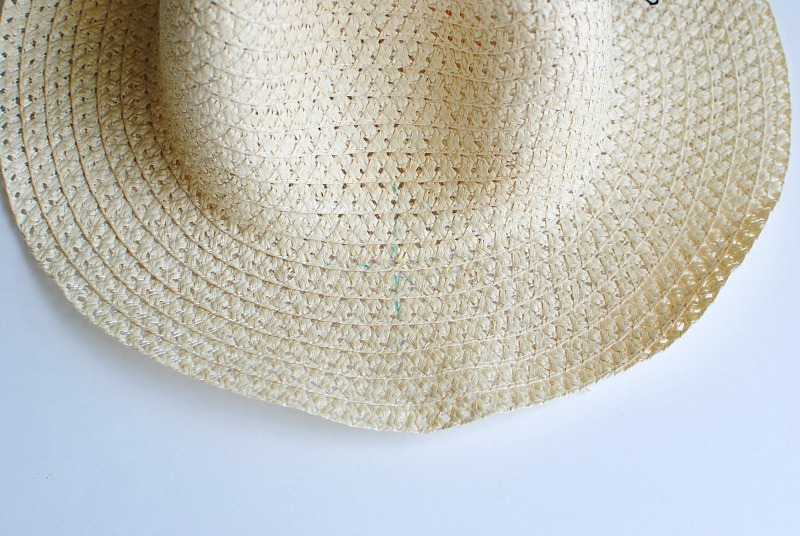 Use painters tape or OESD Tear-Away Tape to secure the hat onto the hoop. Position the embroidery pattern in the proper direction...notice my P was rotated horizontally. 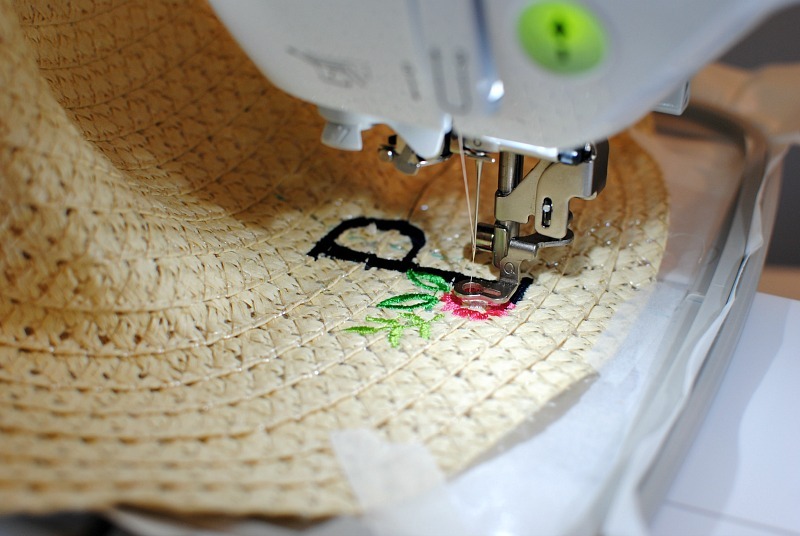 Embroider...You may need to use something to keep the hat from rising occasionally during embroidery. I just used a chop stick :). 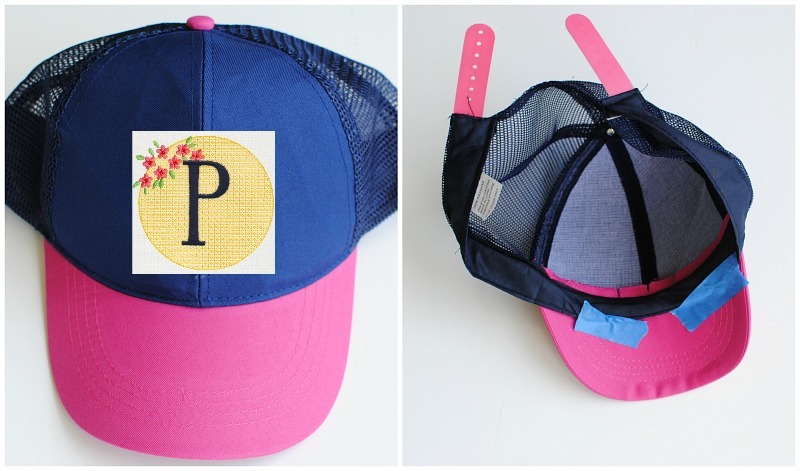 Try adding the floral embroidery around the sides of the hat as well. I love the idea of adding these with a gardening set for a gift too. 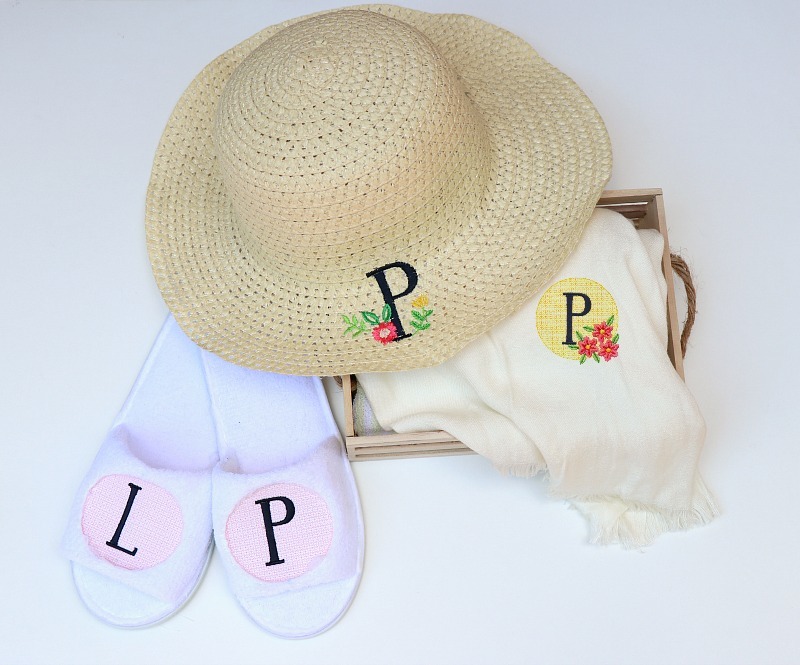 Even a cute bridal party kit, just add a monogram robe for each bridesmaid, and a pair of spa slides! 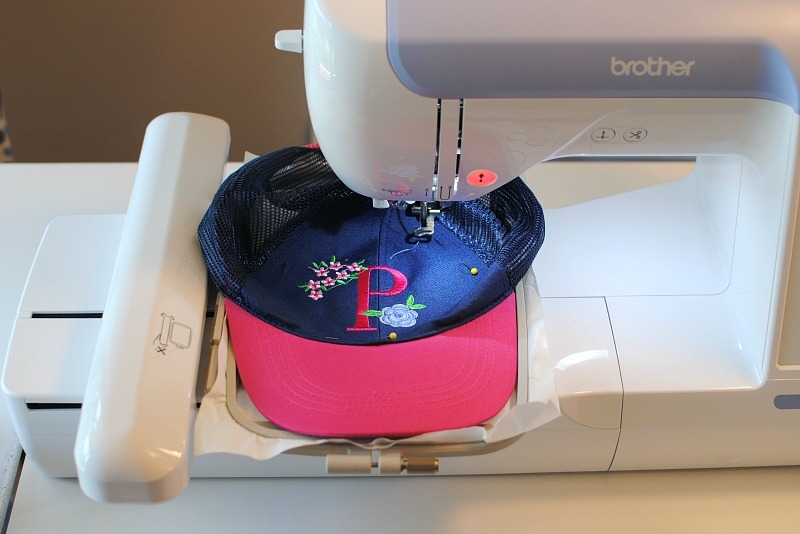 That's perfect hat Embroidery digitizing. I must give it a try and consider it sharing. Loved the little floral embroidery with those fonts. 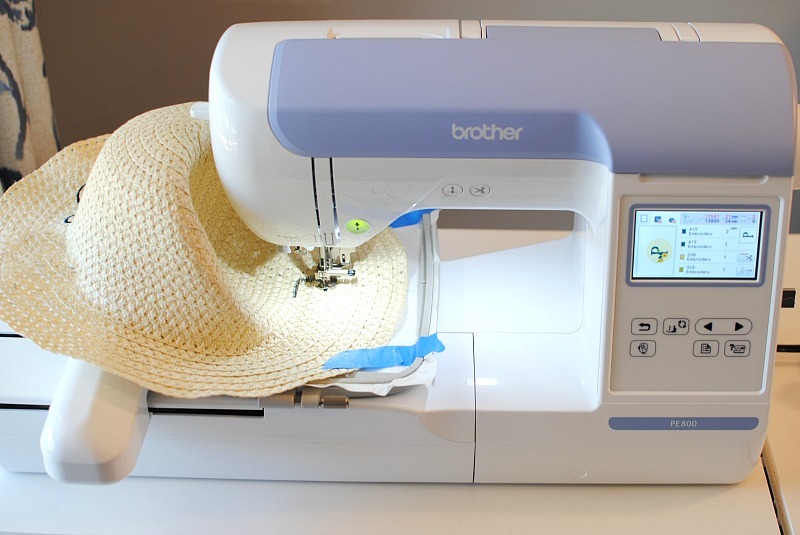 Would you suggest some online sites for hat embroidery? I definitely want a "J" today on my hat. I am read your blog properly and I am got of many information, I am suggest to you keep share like this type of blog, it’s really helped me a lot of keep working, am suggest to my all dear friend to visit this blog and collect lot of information, thank you so much for read my comment, if any one searching website designing or development company in India please visit my website we are completed your work in cheap rate.